As I mentioned previously I am currently away on my holidays and the posts that you have been reading were all written before I left. So I don't know how Gary Poole's bets have been going over the past week and a half. What I do know is that during all his long term proofing he has achieved phenomenal profits and I know that he is the real deal and it's pretty likely that he has given you some winners. In fact in the first 5 weeks of going live with his tipping service Gary has made a whopping 169 points profit. That means that even £10 backers have made £1,690 in 5 weeks!!! If you would like to get more of Gary's selections for free you can add your name to his mailing list and starting in September Gary will be sending out a free tip each week to his mailing list. Honestly I would recommend that you join his service at http://bookiesenemyno1.com but if you don't want to make that commitment then go to this page and get on his mailing list for free tips. No joy yesterday from the Mud Maestro, but it is a lowish strike rate system that makes great profit from the big prices of a lot of the selections. 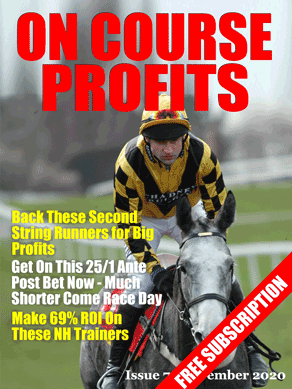 I need to remind you about the free tips from Value Backing who are in great form at the moment with winners already this year at 14/1 and 12/1 and yesterdays selection placed at 16/1. Every Friday VB sends out one of the days bets for free to their mailing list.